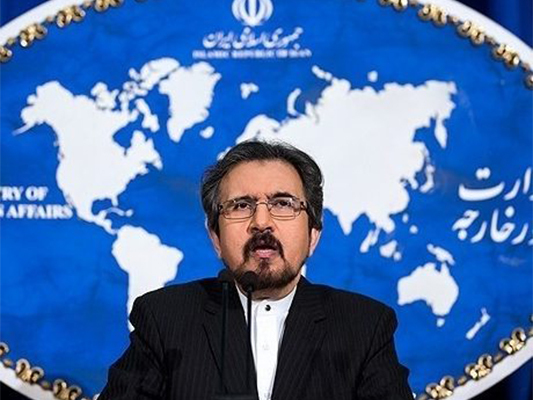 In a Wednesday statement, Foreign Ministry Spokesman Bahram Qassemi lashed out at Bahrain and Saudi Arabia for welcoming and supporting the US move against the IRGC adding that the inept and unwise positions of these two countries are in contravention of the principles of non-interference and respect for the sovereignty of other countries. Qassemi described the Saudi and Bahraini positions as a despicable and passive acclamation of the US-backed anti-Iran measures, noting that the positions expressed by the two countries indicate their short-sightedness and lack of a true understanding of the realities of the region. “It also shows they are not aware of the consequences of the US’ adventurism and strategic mistake for the stability and security of the region,” he maintained. “Undoubtedly, they will fail to hide behind such worthless stances and deflect the world’s attention away from their responsibility in promoting terrorism across the region and the world,” he added.